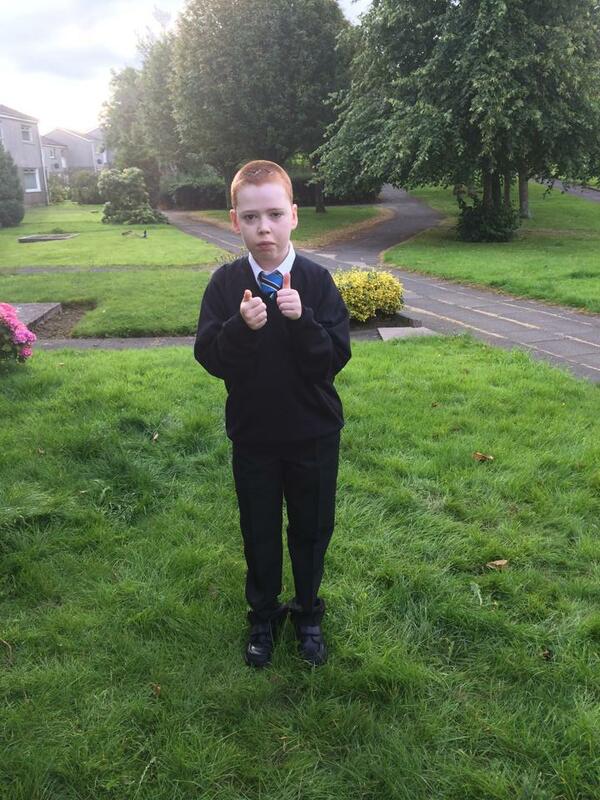 An East Kilbride youngster has been given the best birthday present ever. Max McGhie, from St Leonards, suffers from Lennox-Gastaut Syndrome, a rare and devastating form of epilepsy. The drug resistant condition meant 14-year-old Max suffered from multiple seizures every day of his life … any one of which could have proved fatal. And despite undergoing countless complex surgical procedures and taking a myriad of drugs with some horrible side-effects, nothing brought the condition under control. Max, a pupil at Sanderson High, was near confined to a wheelchair and forced to wear a special protective helmet as the seizures took their toll. Now just weeks after his op, a frontal left lobectomy which involved the removal of the part of his brain where the seizures were centred, Max has almost thrown his wheelchair away. Mum Seonaid said: “The difference to Max’s quality of life has been amazing. And if we ever had any doubts about Max having the operation, they have well and truly gone. “We were never looking for a miracle cure and our main hope was that tests Max underwent at the Miami hospital might just help us find a new and effective drug treatment. Chief executive of EK Community Trust, Monique McAdams, immediately made the financial arrangements with the hospital for Max to have the op and for Seonaid and husband Dougie to stay a further two weeks in the States. “Monique was a wonderful support and Dougie and I, and, of course, Max are so grateful for all the help – financial and emotional – we have received from the Trust. 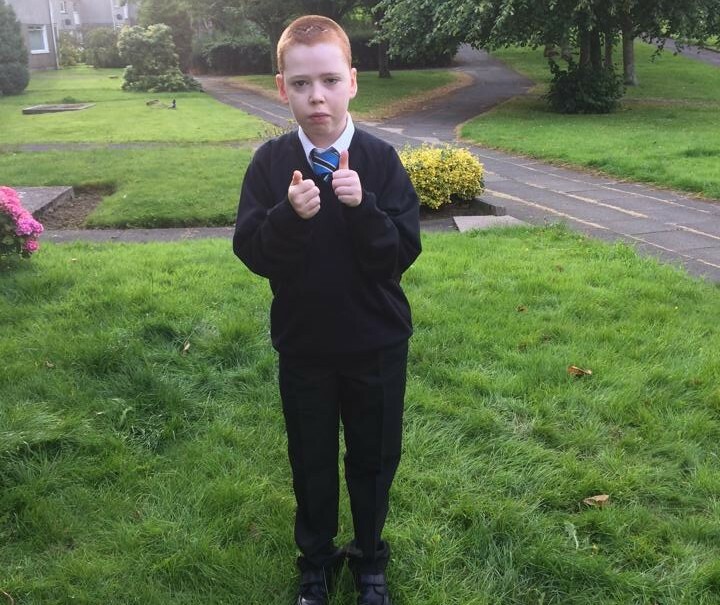 “Three weeks after his op, Max was back at school and where before he would spend much of the day in his wheelchair, now he is walking about. His mobility and balance is improving every day as is his speech. “Since we got home Max has had three seizures during the day, which is a big reduction on before. Night time seizures are still a problem but he’s safer in his bed and less likely to get hurt. We know that Max will never be seizure-free with his condition but the change in his life and ours as a family has changed so much for the better. “All the small changes like posture balance, speech alertness, his fine motor skills, his eating and drinking, has improved and he’s safer because he’s more aware. Put these all together and the change in Max is more than we could ever have dreamed of. The doctors at Yorkhill are now studying his medical notes from Miami to see if the procedure which helped Max could be carried out here. Max has also been back to visit his friends at the Trust’s Sunday Club for children with additional support needs, where he enjoys football. Monique said: “We at the Trust were determined to do all we could to help Max, and we are very grateful to all those who fundraised for him.